The best of the best! Fly with the highest rated helicopter company in Las Vegas! 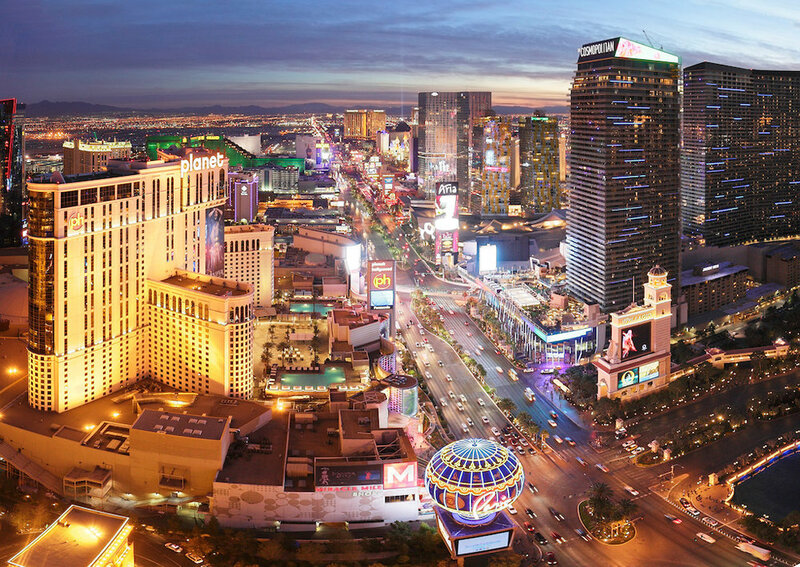 Every major helicopter company in Las Vegas offers a Las Vegas city helicopter tour however there are some major differences that you should consider before choosing who to fly with. Sundance is the only helicopter tour company that uses limousines exclusively for hotel transfers. Sundance only flies with 6 passengers per helicopter which maximizes visibility and comfort compared to 7 passenger helicopters used by other companies. Sundance uses only the nicest EC-130 helicopters for Las Vegas Strip helicopter tours. If you want real VIP treatment from the minute you are picked up until you are dropped off at the end of your tour, you want Sundance! We have great discounts on Sundance helicopter tours with no extra fees or surprises! Sundance has an exceptionally nice helicopter terminal right off the Las Vegas Strip with lots of room and comfortable seating. There is also a gift shop and VIP lounge. The best part is that Sundance has their helicopters right outside the terminal so you walk to your helicopter. Sundance uses the nicest EC-130 helicopters for the Las Vegas City lights tours.